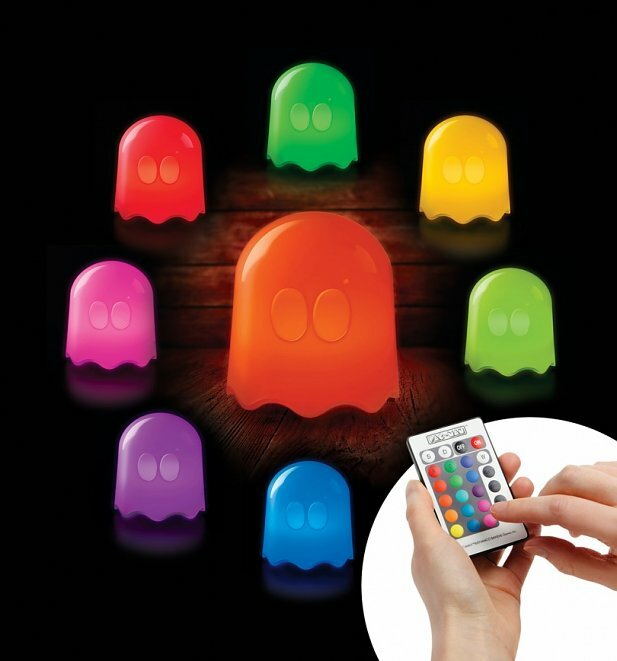 Get into the 80s gaming groove with our wonderous Pac-Man Ghost light. 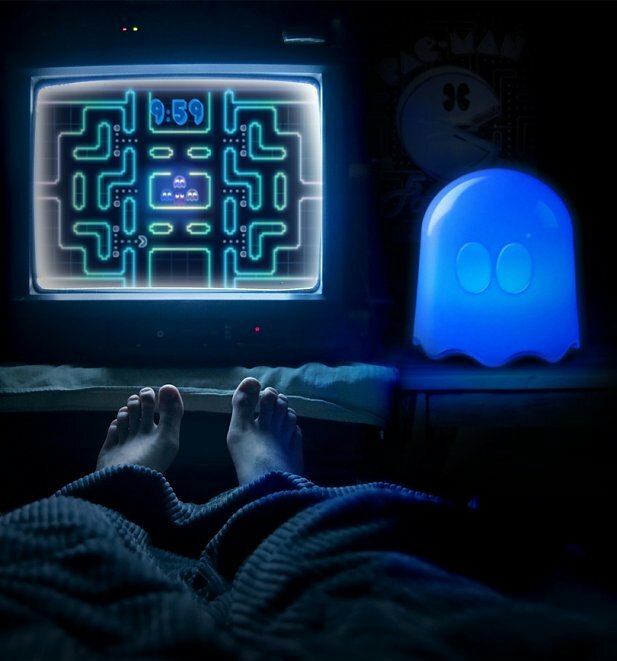 With sixteen colours and the choice of flash, strobe fade, and smooth settings, this awesome Pac-Man mood lamp makes a top-notch, high scoring home accessory for any discerning gamer. 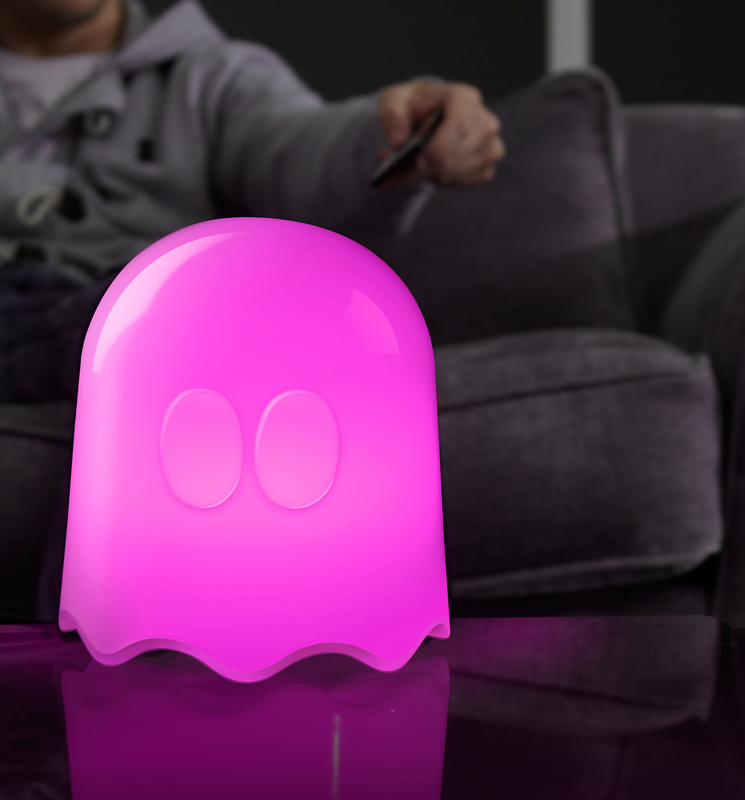 Add some kitsch character to your living room or use as a night light for some cosy vibes in a kids bedroom. This amazing lamp transcends the generations! What a fun way to pay tribute to the eighties arcade gaming sensation.